Prospect Hall, as expected, has all the requisite licenses for a fully responsible, fair and secure gaming platform. The site can be accessed from Windows, iOS and Android devices including desktops, mobile phones and tablets. Prospect Hall delivers a particularly brilliant mobile experience which is a huge strength, since mobile gambling is quickly becoming the first choice for people betting online. Players can access the site via a browser on their mobiles, just as they would on a desktop, and Apple iPhone users can even download a fully optimised Prospect Hall app for even greater ease when reel spinning on the go. The site design is intriguing; suave, mysterious and tasteful. The backdrop resembles outer space, filled with an abundance of dark shades and purples hues and featuring an unfamiliar world with human silhouettes, dinosaurs, genies and other online slot-based characters. It’s clear to browse and easy to navigate, allowing players to discover a fantastic catalogue of online slots, table games and live casino offerings. Prospect Hall also offers exciting promotions and a highly rewarding VIP programme, so if you love a good choice of games from top software developers and grand incentives, we’d highly recommend giving Prospect Hall a whirl. On offer at Prospect Hall is an enormous range of slots and casino games from well-regarded providers such as NetEnt, Play N’ Go, Microgaming and IGT. Players therefore know that they are gaining access to high quality video slots, plus there is a good selection of lesser known titles to browse through too. Most games are available in demo mode, meaning that patrons can ‘try before they buy’; so there is no need to spend real cash to find out what a particular game is like. Search for specific games using a handy search bar, and sort through the collection by popularity, alphabetically, by provider, minimum bet or highest RTP. We especially appreciated this handy feature! Some of the most popular titles include award-winning online slots such as Gonzo’s Quest and Starburst, Spinata Grande and Jumanji online slot (a fantastic new release and a definite must-try!). There are new titles added regularly to the slots collection; Iron Girl, Mirror Mirror and Bollywood Story being just a few of the most recently added. For players who strive for a gigantic jackpot, check out the progressive jackpot online slot range including Divine Fortune, Innocence or Temptation and Cosmic Fortune. Prospect Hall also offers table games aplenty, including the casino staples Blackjack, Roulette, Poker and Baccarat. Try all these, and more, within a live dealer version too. Additional games include scratch cards, Keno and arcade games such as Flying Pigs and Triple Chance Hi – Lo. There are a variety of options for players to utilise in terms of deposits and withdrawals. Prospect Hall enables players to use credit and debit cards, or for those who prefer to protect their details, PayPal is another popular option. E-wallets are also accepted, including Neteller and Skrill. Each payment method is simple and withdrawals are fast, taking between 1 and 3 days usually. For a warm welcome to the hall, the promotion for new players is not to be missed. There is a huge £300 deposit bonus as well as 100 free spins for NetEnt’s Starburst up for grabs. All that’s required is a full registration which is quick and easy, place your deposit and voila! Your deposit will be matched with an exciting bonus and you’ll receive your free spins. An important note, however, is that the bonus spins and deposit bonuses have to be wagered 50x, and if you are placing your first deposits via Neteller or Skrill, they will not be eligible for the welcome package unfortunately. 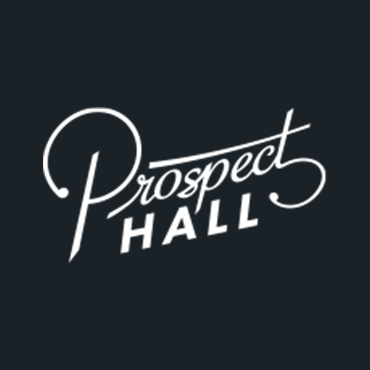 Prospect Hall also offers an abundance of further promotions to keep all players engaged and rewarded; in fact if you opt in to their communication offer and receive either SMS, emails, phone calls or direct mail, you’ll be kept in the loop with regards new offers, games and news too. Promotions include cash back, bonuses, free spins and more – for example, play on a Tuesday, if you’re unlucky and lose, on Wednesday the casino will give you 10% of your overall net losses back up to £20. Prospect Hall patrons are also treated to extra special benefits if they are loyal. VIP players receive the absolute best in terms of service; for example, exclusive promotions, faster withdrawals, dedicated VIP account managers, birthday gifts, Christmas bonuses, hospitality events and more. The online casino will take into account your loyalty and time spent playing, and if your activity reaches VIP level, you’ll be contacted with an exclusive VIP invitation. 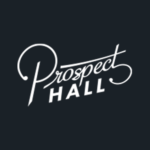 Prospect Hall offers a user-friendly FAQ page for customers to utilise for general questions. If further assistance is required, there is a professional customer support team available to contact via live chat or email message. Prospect Hall is a good all-round online gaming portal with a user-friendly site, striking design and one of the best mobile casino experiences around. Enjoy a neatly designed platform, a high-speed website and top quality software in addition to a great spread of games, promotions and VIP charms.